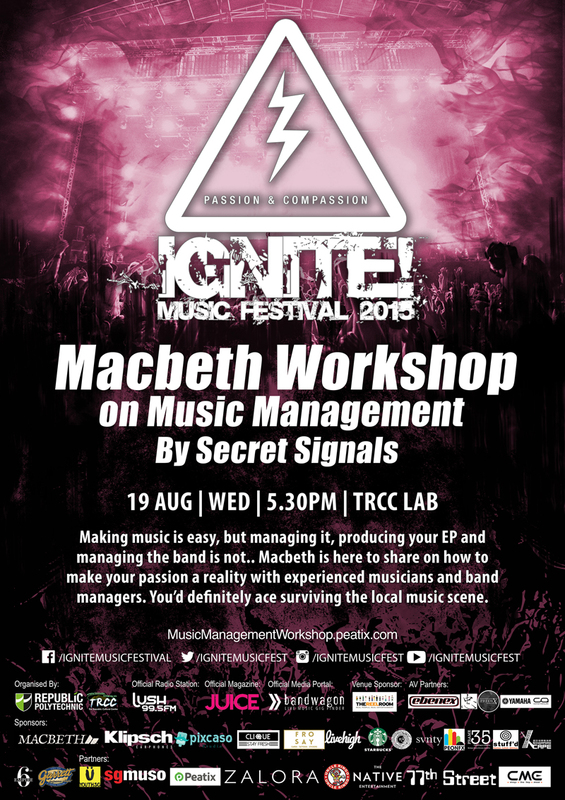 Our Founder (also Co-Founder/Partner at Secret Signals) Keith Tan will be hosting a workshop along with Edwin Waliman (from Secret Signals) on music management at this years Ignite Music Festival. Come on through to find out more about what goes on behind the scenes of this mysterious thing that we do called artist management and find out what it takes to do it. Admission is FREE but is on a first come first served basis. Register via link on poster. Btw IN EACH HAND A CUTLASS will also be playing at the festival this year on 22 August. DAPHNE KHOO // Happy 50th Birthday Singapore!